Kodai No Bushido Dojo What Is Danzan-Ryu Jujitsu? There are many flavors of jujitsu, called systems or schools; the system taught at Kodai No Bushido is called Danzan-Ryu. The Danzan-Ryu is a synthesis of the best techniques of the ancient jujitsu schools (Yoshin, Kosogabe, Shibukawa-Ryu, Yoshin-Ryu, Namba-Shoshin-Ryu), Okinawan Karate, Chinese Kung-Fu, Hawaiian Lua, Filipino knife fighting, and traditional Japanese restorative massage and healing techniques. It was developed by Professor Henry S. Okazaki whose school, the Kodenkan, was headquartered in Honolulu, Hawaii. Danzan-Ryu translates to Cedar Mountain School or Hawaiian Island System. At the dojo we approach our training on many levels. A set of boards listing the basic Danzan-Ryu techniques taught at the school are posted on the wall at the dojo for student's reference. Students may use our web boards as a foundation for their notebooks. Copyright © 2004 to 2011 by Kodai No Bushido, 3525 Ryder Street, Santa Clara, CA 95051 USA. Additional lists are also taught in the Jujitsu classes. 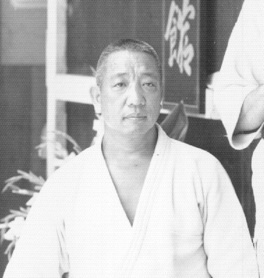 These remaining lists, most of which are primarily taught above the rank of black belt, include: defenses against gun, knife, staff & sword; demonstration arts; iron fan and yawara stick arts; blocks; kicks; strikes; and a system of resuscitation (kappo) arts and restorative/massage (seifukujitsu) healing techniques.